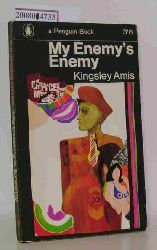 AMIS, KINGSLEY. Stanley and the Women. Middlesex, England. Penguin Books. 1985. 316,(2)pp.+Adverts. Paperback. Covers & spine creased & worn. Corners bumped. Pages slightly brown. Used. ISBN 0140076077. Amis, Kingsley. One Fat Englishman. New York, Harcourt, Brace & World, 1963. 192pp. Orig. cloth. Very good copy. Orig. cloth. 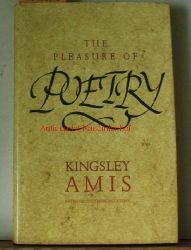 Amis, Kingsley The Pleasure of Poetry, from his daily mirror column.,First published. London: Cassell Publishers Limited. 1990 8ºAntikbuch24-SchnellhilfeOktav = Höhe des Buchrücken 18,5-22,5 cm. 247 Seiten. original cloth with dust jacket nice copy.